Never a night to disappoint, Burns Night is a great opportunity to bring people together and to generate extra revenue and attract potential new customers. 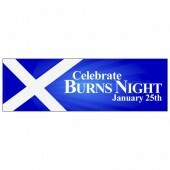 Discount Banners has a number of Burns Night Banners for you to choose from. 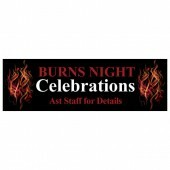 Ideal for restaurants, pubs or Burns Night events, one of our Burns Night Banners is the perfect way to advertise your promotions. 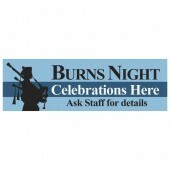 Our Burns Night Banners are all printed on high quality PVC using eco-friendly, UV stable inks so that you get an eye-catching, full colour product that lasts. 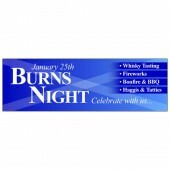 Once your order has been placed you should receive your Burns Night Banner within 2-5 days.